This 2019 Mercedes-Benz GLS GLS 450 is proudly offered by Mercedes-Benz of Ontario This Mercedes-Benz includes: WHEEL LOCKING BOLTS (PIO)Wheel Locks WHEELS: 19 TWIN 5-SPOKEAluminum Wheels PREMIUM 1 PACKAGEKeyless Start Smart Device Integration HD Radio Navigation System Seat Memory Satellite Radio Power Door Locks Keyless Entry Hard Disk Drive Media Storage MP3 Player ANTHRACITE POPLAR WOOD TRIMWoodgrain Interior Trim BLACK HEADLINERLANE TRACKING PACKAGELane Departure Warning Blind Spot Monitor LIGHTING PACKAGEHeadlights-Auto-Leveling AIR IONIZATION W/AIR FILTER*Note - For third party subscriptions or services, please contact the dealer for more information. * Want more room? Want more style? This Mercedes-Benz GLS is the vehicle for you. Pull up in the vehicle and the valet will want to parked on the front row. This Mercedes-Benz GLS is the vehicle others dream to own. Don't miss your chance to make it your new ride.Simply put, this all wheel drive vehicle is engineered with higher standards. Enjoy improved steering, superior acceleration, and increased stability and safety while driving this AWD Mercedes-BenzGLS GLS 450. Where do you need to go today? Just punch it into the Mercedes-Benz GLS on-board navigation system and hit the road. You can find this 2019 Mercedes-Benz GLS GLS 450 and many others like it at Mercedes-Benz of Ontario. This Mercedes-Benz includes: PREMIUM 1 PACKAGEKeyless Start Smart Device Integration HD Radio Navigation System Seat Memory Satellite Radio Power Door Locks Keyless Entry Hard Disk Drive Media Storage MP3 Player WHEELS: 19 5-SPOKE (STD)Aluminum Wheels LANE TRACKING PACKAGELane Departure Warning Blind Spot Monitor EUCALYPTUS WOOD TRIMWoodgrain Interior Trim AIR IONIZATION W/AIR FILTERPORCELAIN HEADLINERPARKING ASSIST PACKAGEAutomatic Parking Back-Up Camera *Note - For third party subscriptions or services, please contact the dealer for more information. * Want more room? Want more style? This Mercedes-Benz GLS is the vehicle for you. There's a level of quality and refinement in this Mercedes-Benz GLS that you won't find in your average vehicle. All-wheel drive means peace of mind all the time. This Polar White AWD Mercedes-Benz enjoys a host offeatures, including exceptional acceleration and superior stability so you can drive with confidence. Enjoy the drive without worrying about directions thanks to the built-in navigation system. 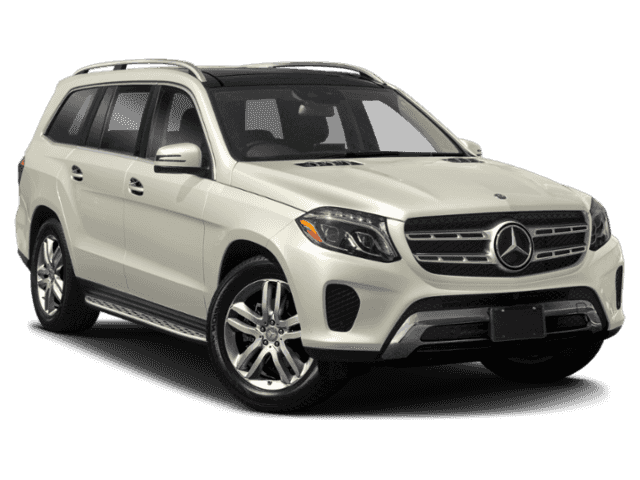 Contact Mercedes-Benz of Ontario today for information on dozens of vehicles like this 2019 Mercedes-Benz GLS GLS 450. This Mercedes-Benz includes: WHEEL LOCKING BOLTS (PIO)Wheel Locks PREMIUM 1 PACKAGEKeyless Start Smart Device Integration HD Radio Navigation System Seat Memory Satellite Radio Power Door Locks Keyless Entry Hard Disk Drive Media Storage MP3 Player ILLUMINATED RUNNING BOARDSRunning Boards/Side Steps WHEELS: 19 5-SPOKE (STD)Aluminum Wheels LANE TRACKING PACKAGELane Departure Warning Blind Spot Monitor HARMAN/KARDON Logic 7® SURROUND SOUND SYSTEMPremium Sound System AIR IONIZATION W/AIR FILTERPARKING ASSIST PACKAGEAutomatic Parking Back-Up Camera *Note - For third party subscriptions or services, please contact the dealer for more information. * Want more room? Want more style? This Mercedes-Benz GLS is the vehicle for you. You appreciate the finer things in life, the vehicle you drive should not be the exception. Style, performance, sophistication is in a class of its own with this stunning Mercedes-Benz GLS.This AWD-equipped vehicle will handle beautifully on any terrain and in any weather condition your may find yourself in. The benefits of driving an all wheel drive vehicle, such as this Mercedes-Benz GLS GLS 450, include superior acceleration, improved steering, and increased traction and stability. Put away your phone and focus on the road, your new vehicle has navigation. Contact Mercedes-Benz of Ontario today for information on dozens of vehicles like this 2019 Mercedes-Benz GLS GLS 450. This Mercedes-Benz includes: WHEEL LOCKING BOLTS (PIO)Wheel Locks PREMIUM 1 PACKAGEKeyless Start Smart Device Integration HD Radio Navigation System Seat Memory Satellite Radio Power Door Locks Keyless Entry Hard Disk Drive Media Storage MP3 Player ANTHRACITE POPLAR WOOD TRIMWoodgrain Interior Trim WHEELS: 19 5-SPOKE (STD)Aluminum Wheels LANE TRACKING PACKAGELane Departure Warning Blind Spot Monitor AIR IONIZATION W/AIR FILTERPORCELAIN HEADLINERPARKING ASSIST PACKAGEAutomatic Parking Back-Up Camera *Note - For third party subscriptions or services, please contact the dealer for more information. * Want more room? Want more style? This Mercedes-Benz GLS is the vehicle for you. Today's luxury vehicle is not just about opulence. It's about a perfect balance of performance, comfort and attention to detail. 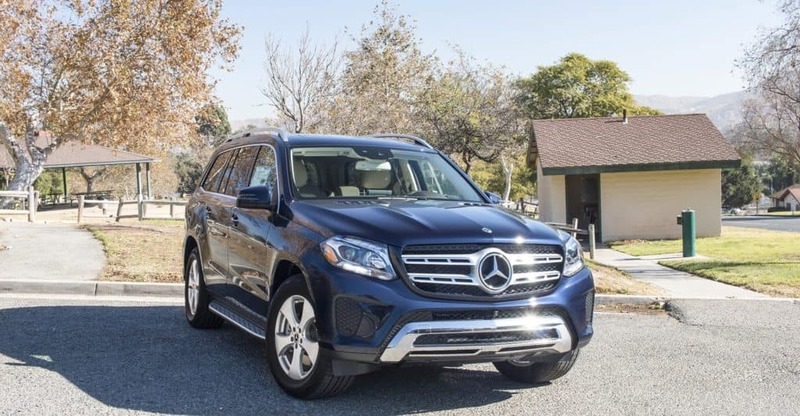 This 2019 Mercedes-Benz GLS is the perfect example of the modern luxury.Savor the satisfaction of safety in any condition with this AWD Mercedes-Benz GLS. Superior acceleration, unmatched traction and stability as well as a luxurious interior round out the impressive features of this AWD Mercedes-Benz GLS. Put away your phone and focus on the road, your new vehicle has navigation. Mercedes-Benz of Ontario is excited to offer this 2019 Mercedes-Benz GLS. This Mercedes-Benz includes: WHEEL LOCKING BOLTS (PIO)Wheel Locks PREMIUM 1 PACKAGEKeyless Start Smart Device Integration HD Radio Navigation System Seat Memory Satellite Radio Power Door Locks Keyless Entry Hard Disk Drive Media Storage MP3 Player ANTHRACITE POPLAR WOOD TRIMWoodgrain Interior Trim WHEELS: 19 5-SPOKE (STD)Aluminum Wheels LANE TRACKING PACKAGELane Departure Warning Blind Spot Monitor AIR IONIZATION W/AIR FILTERPORCELAIN HEADLINERPARKING ASSIST PACKAGEAutomatic Parking Back-Up Camera *Note - For third party subscriptions or services, please contact the dealer for more information. * Want more room? Want more style? This Mercedes-Benz GLS is the vehicle for you. You appreciate the finer things in life, the vehicle you drive should not be the exception. Style, performance, sophistication is in a class of its own with this stunning Mercedes-Benz GLS.This Mercedes-Benz GLS GLS 450 comes equipped with all wheel drive, which means no limitations as to how or where you can drive. Different terrains and varying weather conditions will have little effect as to how this vehicle performs. Put away your phone and focus on the road, your new vehicle has navigation. You can find this 2019 Mercedes-Benz GLS GLS 450 and many others like it at Mercedes-Benz of Ontario. This Mercedes-Benz includes: WHEEL LOCKING BOLTS (PIO)Wheel Locks PREMIUM 1 PACKAGEKeyless Start Smart Device Integration HD Radio Navigation System Seat Memory Satellite Radio Power Door Locks Keyless Entry Hard Disk Drive Media Storage MP3 Player ILLUMINATED RUNNING BOARDSRunning Boards/Side Steps WHEELS: 19 5-SPOKE (STD)Aluminum Wheels HARMAN/KARDON Logic 7® SURROUND SOUND SYSTEMPremium Sound System AIR IONIZATION W/AIR FILTERPARKING ASSIST PACKAGEAutomatic Parking Back-Up Camera *Note - For third party subscriptions or services, please contact the dealer for more information. * Want more room? Want more style? This Mercedes-Benz GLS is the vehicle for you. You appreciate the finer things in life, the vehicle you drive should not be the exception. Style, performance, sophistication is in a class of its own with this stunning Mercedes-Benz GLS.All-wheel drive means peace of mind all the time. This Polar White AWD Mercedes-Benz enjoys a host offeatures, including exceptional acceleration and superior stability so you can drive with confidence. Where do you need to go today? Just punch it into the Mercedes-Benz GLS on-board navigation system and hit the road. This 2019 Mercedes-Benz GLS GLS 450 is offered to you for sale by Mercedes-Benz of Ontario. This Mercedes-Benz includes: PREMIUM 1 PACKAGEKeyless Start Smart Device Integration HD Radio Navigation System Seat Memory Satellite Radio Power Door Locks Keyless Entry Hard Disk Drive Media Storage MP3 Player ANTHRACITE POPLAR WOOD TRIMWoodgrain Interior Trim WHEELS: 19 5-SPOKE (STD)Aluminum Wheels LANE TRACKING PACKAGELane Departure Warning Blind Spot Monitor HARMAN/KARDON Logic 7® SURROUND SOUND SYSTEMPremium Sound System AIR IONIZATION W/AIR FILTERPARKING ASSIST PACKAGEAutomatic Parking Back-Up Camera *Note - For third party subscriptions or services, please contact the dealer for more information. * This SUV gives you versatility, style and comfort all in one vehicle. There's a level of quality and refinement in this Mercedes-Benz GLS that you won't find in your average vehicle. No matter the weather conditions or terrain, this Polar White AWD Mercedes-Benz GLS handles with an elegant confidence. Fine interior appointments complement this vehicle's unprecedented performance. Put away your phone and focus on the road, your new vehicle has navigation. This outstanding example of a 2019 Mercedes-Benz GLS GLS 450 is offered by Mercedes-Benz of Ontario. This Mercedes-Benz includes: 3-ZONE AUTOMATIC CLIMATE CONTROLMulti-Zone A/C A/C Climate Control Rear A/C PREMIUM 1 PACKAGEKeyless Start Smart Device Integration HD Radio Navigation System Seat Memory Satellite Radio Power Door Locks Keyless Entry Hard Disk Drive Media Storage MP3 Player APPEARANCE PACKAGETires - Front Performance Aluminum Wheels Tires - Rear Performance Running Boards/Side Steps TRAILER HITCHTow Hitch LANE TRACKING PACKAGELane Departure Warning Blind Spot Monitor BURL WALNUT WOOD TRIMWoodgrain Interior Trim PORCELAIN HEADLINER*Note - For third party subscriptions or services, please contact the dealer for more information. * Want more room? Want more style? This Mercedes-Benz GLS is the vehicle for you. You deserve a vehicle designed for higher expectations. This Mercedes-Benz GLS delivers with a luxurious, well-appointed interior and world-class engineering.All-wheel drive means peace of mind all the time. This Polar White AWD Mercedes-Benz enjoys a host offeatures, including exceptional acceleration and superior stability so you can drive with confidence. Enjoy the drive without worrying about directions thanks to the built-in navigation system. This outstanding example of a 2019 Mercedes-Benz GLS GLS 450 is offered by Mercedes-Benz of Ontario. This Mercedes-Benz includes: PREMIUM 1 PACKAGEKeyless Start Smart Device Integration HD Radio Navigation System Seat Memory Satellite Radio Power Door Locks Keyless Entry Hard Disk Drive Media Storage MP3 Player ANTHRACITE POPLAR WOOD TRIMWoodgrain Interior Trim BLACK HEADLINERWHEELS: 19 5-SPOKE (STD)Aluminum Wheels LANE TRACKING PACKAGELane Departure Warning Blind Spot Monitor HARMAN/KARDON Logic 7® SURROUND SOUND SYSTEMPremium Sound System PARKING ASSIST PACKAGEAutomatic Parking Back-Up Camera *Note - For third party subscriptions or services, please contact the dealer for more information. * Want more room? Want more style? This Mercedes-Benz GLS is the vehicle for you. Pull up in the vehicle and the valet will want to parked on the front row. This Mercedes-Benz GLS is the vehicle others dream to own. Don't miss your chance to make it your new ride.Take home this 2019 Mercedes-Benz GLS and enjoy the safety and added performance of AWD. Put away your phone and focus on the road, your new vehicle has navigation. Contact Mercedes-Benz of Ontario today for information on dozens of vehicles like this 2019 Mercedes-Benz GLS GLS 450. This Mercedes-Benz includes: WHEEL LOCKING BOLTS (PIO)Wheel Locks PREMIUM 1 PACKAGEKeyless Start Smart Device Integration HD Radio Navigation System Seat Memory Satellite Radio Power Door Locks Keyless Entry Hard Disk Drive Media Storage MP3 Player APPEARANCE PACKAGETires - Front Performance Aluminum Wheels Tires - Rear Performance Running Boards/Side Steps ANTHRACITE POPLAR WOOD TRIMWoodgrain Interior Trim BLACK HEADLINERLANE TRACKING PACKAGELane Departure Warning Blind Spot Monitor AIR IONIZATION W/AIR FILTERPARKING ASSIST PACKAGEAutomatic Parking Back-Up Camera *Note - For third party subscriptions or services, please contact the dealer for more information. * Want more room? Want more style? This Mercedes-Benz GLS is the vehicle for you. You deserve a vehicle designed for higher expectations. This Mercedes-Benz GLS delivers with a luxurious, well-appointed interior and world-class engineering.Enjoy the grip and control of AWD performance in this nicely equipped Mercedes-Benz GLS. Enjoy the drive without worrying about directions thanks to the built-in navigation system. Contact Mercedes-Benz of Ontario today for information on dozens of vehicles like this 2019 Mercedes-Benz GLS GLS 450. This Mercedes-Benz includes: WHEEL LOCKING BOLTS (PIO)Wheel Locks PREMIUM 1 PACKAGEKeyless Start Smart Device Integration HD Radio Navigation System Seat Memory Satellite Radio Power Door Locks Keyless Entry Hard Disk Drive Media Storage MP3 Player WHEELS: 19 5-SPOKE (STD)Aluminum Wheels TRAILER HITCHTow Hitch LANE TRACKING PACKAGELane Departure Warning Blind Spot Monitor HARMAN/KARDON Logic 7® SURROUND SOUND SYSTEMPremium Sound System HEATED & COOLED FRONT CUP HOLDERSNATURAL GRAIN BROWN ASH WOOD TRIMWoodgrain Interior Trim ILLUMINATED STAR (PIO)REAR SEAT ENTERTAINMENT SYSTEM PRE-WIRINGPORCELAIN HEADLINERPARKING ASSIST PACKAGEAutomatic Parking Back-Up Camera *Note - For third party subscriptions or services, please contact the dealer for more information. * Want more room? Want more style? This Mercedes-Benz GLS is the vehicle for you. There's a level of quality and refinement in this Mercedes-Benz GLS that you won't find in your average vehicle. All-wheel drive means peace of mind all the time. This Black AWD Mercedes-Benz enjoys a host offeatures, including exceptional acceleration and superior stability so you can drive with confidence. Enjoy the drive without worrying about directions thanks to the built-in navigation system. Contact Mercedes-Benz of Ontario today for information on dozens of vehicles like this 2019 Mercedes-Benz GLS GLS 450. This Mercedes-Benz includes: WHEEL LOCKING BOLTS (PIO)Wheel Locks PREMIUM 1 PACKAGEKeyless Start Smart Device Integration HD Radio Navigation System Seat Memory Satellite Radio Power Door Locks Keyless Entry Hard Disk Drive Media Storage MP3 Player APPEARANCE PACKAGETires - Front Performance Aluminum Wheels Tires - Rear Performance Running Boards/Side Steps LANE TRACKING PACKAGELane Departure Warning Blind Spot Monitor HARMAN/KARDON Logic 7® SURROUND SOUND SYSTEMPremium Sound System NATURAL GRAIN BROWN ASH WOOD TRIMWoodgrain Interior Trim AIR IONIZATION W/AIR FILTERPARKING ASSIST PACKAGEAutomatic Parking Back-Up Camera *Note - For third party subscriptions or services, please contact the dealer for more information. * Want more room? Want more style? This Mercedes-Benz GLS is the vehicle for you. You deserve a vehicle designed for higher expectations. This Mercedes-Benz GLS delivers with a luxurious, well-appointed interior and world-class engineering.Once you see this Mercedes-Benz, you'll quickly see that this is the perfect vehicle for the outdoor junky! You'll even feel relaxed knowing that this All-Wheel drive vehicle will get you to where you are going no matter what may come your way. Also, with this Mercedes-Benz GLS's dependable control you'll be able to drive into the sunset without a care in the world! Put away your phone and focus on the road, your new vehicle has navigation. This 2019 Mercedes-Benz GLS GLS 450 is proudly offered by Mercedes-Benz of Ontario This Mercedes-Benz includes: WHEEL LOCKING BOLTS (PIO)Wheel Locks PREMIUM 1 PACKAGEKeyless Start Smart Device Integration HD Radio Navigation System Seat Memory Satellite Radio Power Door Locks Keyless Entry Hard Disk Drive Media Storage MP3 Player APPEARANCE PACKAGETires - Front Performance Aluminum Wheels Tires - Rear Performance Running Boards/Side Steps TRAILER HITCHTow Hitch LANE TRACKING PACKAGELane Departure Warning Blind Spot Monitor CHROME HOOD FIN COVERS (PIO)AIR IONIZATION W/AIR FILTERPORCELAIN HEADLINERPARKING ASSIST PACKAGEAutomatic Parking Back-Up Camera *Note - For third party subscriptions or services, please contact the dealer for more information. * Want more room? Want more style? This Mercedes-Benz GLS is the vehicle for you. Today's luxury vehicle is not just about opulence. It's about a perfect balance of performance, comfort and attention to detail. This 2019 Mercedes-Benz GLS is the perfect example of the modern luxury.Take home this 2019 Mercedes-Benz GLS and enjoy the safety and added performance of AWD. Where do you need to go today? Just punch it into the Mercedes-Benz GLS on-board navigation system and hit the road. This 2019 Mercedes-Benz GLS GLS 450 is offered to you for sale by Mercedes-Benz of Ontario. This Mercedes-Benz includes: PREMIUM 1 PACKAGEKeyless Start Smart Device Integration HD Radio Navigation System Seat Memory Satellite Radio Power Door Locks Keyless Entry Hard Disk Drive Media Storage MP3 Player APPEARANCE PACKAGETires - Front Performance Aluminum Wheels Tires - Rear Performance Running Boards/Side Steps ANTHRACITE POPLAR WOOD TRIMWoodgrain Interior Trim BLACK HEADLINERTRAILER HITCHTow Hitch LANE TRACKING PACKAGELane Departure Warning Blind Spot Monitor CHROME HOOD FIN COVERS (PIO)PARKING ASSIST PACKAGEAutomatic Parking Back-Up Camera *Note - For third party subscriptions or services, please contact the dealer for more information. * Want more room? Want more style? This Mercedes-Benz GLS is the vehicle for you. There's a level of quality and refinement in this Mercedes-Benz GLS that you won't find in your average vehicle. No matter the weather conditions or terrain, this Polar White AWD Mercedes-Benz GLS handles with an elegant confidence. Fine interior appointments complement this vehicle's unprecedented performance. Put away your phone and focus on the road, your new vehicle has navigation. This 2019 Mercedes-Benz GLS GLS 450 is proudly offered by Mercedes-Benz of Ontario This Mercedes-Benz includes: WHEEL LOCKING BOLTS (PIO)Wheel Locks PREMIUM 1 PACKAGEKeyless Start Smart Device Integration HD Radio Navigation System Seat Memory Satellite Radio Power Door Locks Keyless Entry Hard Disk Drive Media Storage MP3 Player APPEARANCE PACKAGETires - Front Performance Aluminum Wheels Tires - Rear Performance Running Boards/Side Steps 2ND ROW POWER EASY-ENTRYTRAILER HITCHTow Hitch LANE TRACKING PACKAGELane Departure Warning Blind Spot Monitor CHROME HOOD FIN COVERS (PIO)AIR IONIZATION W/AIR FILTERPORCELAIN HEADLINERPARKING ASSIST PACKAGEAutomatic Parking Back-Up Camera *Note - For third party subscriptions or services, please contact the dealer for more information. * This SUV gives you versatility, style and comfort all in one vehicle. You appreciate the finer things in life, the vehicle you drive should not be the exception. Style, performance, sophistication is in a class of its own with this stunning Mercedes-Benz GLS.Simply put, this all wheel drive vehicle is engineered with higher standards. Enjoy improved steering, superior acceleration, and increased stability and safety while driving this AWD Mercedes-BenzGLS GLS 450. Where do you need to go today? Just punch it into the Mercedes-Benz GLS on-board navigation system and hit the road. Contact Mercedes-Benz of Ontario today for information on dozens of vehicles like this 2019 Mercedes-Benz GLS GLS 450. This Mercedes-Benz includes: WHEEL LOCKING BOLTS (PIO)Wheel Locks PREMIUM 1 PACKAGEKeyless Start Smart Device Integration HD Radio Navigation System Seat Memory Satellite Radio Power Door Locks Keyless Entry Hard Disk Drive Media Storage MP3 Player APPEARANCE PACKAGETires - Front Performance Aluminum Wheels Tires - Rear Performance Running Boards/Side Steps LANE TRACKING PACKAGELane Departure Warning Blind Spot Monitor LIGHTING PACKAGEHeadlights-Auto-Leveling PARKING ASSIST PACKAGEAutomatic Parking Back-Up Camera *Note - For third party subscriptions or services, please contact the dealer for more information. * Want more room? Want more style? This Mercedes-Benz GLS is the vehicle for you. There's a level of quality and refinement in this Mercedes-Benz GLS that you won't find in your average vehicle. Hit the gas pedal and put the engine power to all four wheels. With AWD, you'll have the greater performance right off the line, everytime you drive. Put away your phone and focus on the road, your new vehicle has navigation. This 2019 Mercedes-Benz GLS GLS 450 is proudly offered by Mercedes-Benz of Ontario This Mercedes-Benz includes: WHEEL LOCKING BOLTS (PIO)Wheel Locks PREMIUM 1 PACKAGEKeyless Start Smart Device Integration HD Radio Navigation System Seat Memory Satellite Radio Power Door Locks Keyless Entry Hard Disk Drive Media Storage MP3 Player APPEARANCE PACKAGETires - Front Performance Aluminum Wheels Tires - Rear Performance Running Boards/Side Steps BLACK HEADLINERTRAILER HITCHTow Hitch LANE TRACKING PACKAGELane Departure Warning Blind Spot Monitor CHROME HOOD FIN COVERS (PIO)AIR IONIZATION W/AIR FILTERPARKING ASSIST PACKAGEAutomatic Parking Back-Up Camera *Note - For third party subscriptions or services, please contact the dealer for more information. * This SUV gives you versatility, style and comfort all in one vehicle. Pull up in the vehicle and the valet will want to parked on the front row. This Mercedes-Benz GLS is the vehicle others dream to own. Don't miss your chance to make it your new ride.When driving an all wheel drive vehicle, such as this Mercedes-Benz GLS GLS 450, superior acceleration, traction, and control come standard. Enjoy the drive without worrying about directions thanks to the built-in navigation system. This 2019 Mercedes-Benz GLS GLS 450 is proudly offered by Mercedes-Benz of Ontario This Mercedes-Benz includes: PREMIUM 1 PACKAGEKeyless Start Smart Device Integration HD Radio Navigation System Seat Memory Satellite Radio Power Door Locks Keyless Entry Hard Disk Drive Media Storage MP3 Player APPEARANCE PACKAGETires - Front Performance Aluminum Wheels Tires - Rear Performance Running Boards/Side Steps 2ND ROW POWER EASY-ENTRYBLACK HEADLINERLANE TRACKING PACKAGELane Departure Warning Blind Spot Monitor PANORAMA ROOFGeneric Sun/Moonroof Dual Moonroof AIR IONIZATION W/AIR FILTERPARKING ASSIST PACKAGEAutomatic Parking Back-Up Camera *Note - For third party subscriptions or services, please contact the dealer for more information. * Want more room? Want more style? This Mercedes-Benz GLS is the vehicle for you. You deserve a vehicle designed for higher expectations. This Mercedes-Benz GLS delivers with a luxurious, well-appointed interior and world-class engineering.Enjoy safety and stability with this all-wheel drive vehicle and drive with confidence in any condition. This Mercedes-Benz GLS is equipped with navigation, so you no longer have to wonder if you're headed in the right direction. Contact Mercedes-Benz of Ontario today for information on dozens of vehicles like this 2019 Mercedes-Benz GLS GLS 450. This Mercedes-Benz includes: WHEEL LOCKING BOLTS (PIO)Wheel Locks 3-ZONE AUTOMATIC CLIMATE CONTROLMulti-Zone A/C A/C Climate Control Rear A/C PREMIUM 1 PACKAGEKeyless Start Smart Device Integration HD Radio Navigation System Seat Memory Satellite Radio Power Door Locks Keyless Entry Hard Disk Drive Media Storage MP3 Player APPEARANCE PACKAGETires - Front Performance Aluminum Wheels Tires - Rear Performance Running Boards/Side Steps LANE TRACKING PACKAGELane Departure Warning Blind Spot Monitor LIGHTING PACKAGEHeadlights-Auto-Leveling AIR IONIZATION W/AIR FILTERPARKING ASSIST PACKAGEAutomatic Parking Back-Up Camera *Note - For third party subscriptions or services, please contact the dealer for more information. * Want more room? Want more style? This Mercedes-Benz GLS is the vehicle for you. Today's luxury vehicle is not just about opulence. It's about a perfect balance of performance, comfort and attention to detail. This 2019 Mercedes-Benz GLS is the perfect example of the modern luxury.This Mercedes-Benz GLS GLS 450 comes equipped with all wheel drive, which means no limitations as to how or where you can drive. Different terrains and varying weather conditions will have little effect as to how this vehicle performs. Enjoy the drive without worrying about directions thanks to the built-in navigation system. 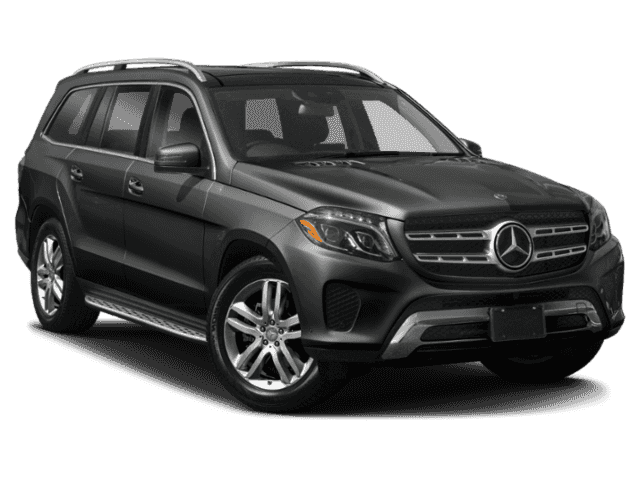 Contact Mercedes-Benz of Ontario today for information on dozens of vehicles like this 2019 Mercedes-Benz GLS GLS 450. This Mercedes-Benz includes: WHEEL LOCKING BOLTS (PIO)Wheel Locks PREMIUM 1 PACKAGEKeyless Start Smart Device Integration HD Radio Navigation System Seat Memory Satellite Radio Power Door Locks Keyless Entry Hard Disk Drive Media Storage MP3 Player APPEARANCE PACKAGETires - Front Performance Aluminum Wheels Tires - Rear Performance Running Boards/Side Steps ANTHRACITE POPLAR WOOD TRIMWoodgrain Interior Trim LANE TRACKING PACKAGELane Departure Warning Blind Spot Monitor HARMAN/KARDON Logic 7® SURROUND SOUND SYSTEMPremium Sound System LIGHTING PACKAGEHeadlights-Auto-Leveling PARKING ASSIST PACKAGEAutomatic Parking Back-Up Camera *Note - For third party subscriptions or services, please contact the dealer for more information. * This SUV gives you versatility, style and comfort all in one vehicle. You appreciate the finer things in life, the vehicle you drive should not be the exception. Style, performance, sophistication is in a class of its own with this stunning Mercedes-Benz GLS.All-wheel drive means peace of mind all the time. This Lunar Blue AWD Mercedes-Benz enjoys a host offeatures, including exceptional acceleration and superior stability so you can drive with confidence. Enjoy the drive without worrying about directions thanks to the built-in navigation system.